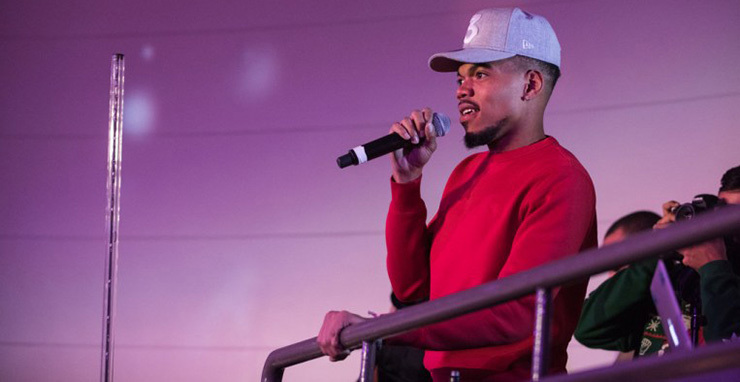 Grammy-winning hip-hop star Chance the Rapper hosted a holiday party at The Field Museum of Natural History in Chicago last week to raise money for the city's homeless. "Being a city that has one of the worst and coldest winters in America, I think it's important that we take some time to appreciate, and work with, and work for the homeless population in Chicago," Chance told nearly 6,000 guests. For a $15 ticket, guests were treated to holiday displays, dancing, live music and snacks. Families in need were also invited at no cost, and kids were sent home with one of 4,000 backpacks filled with toys, crayons and other donated goodies.